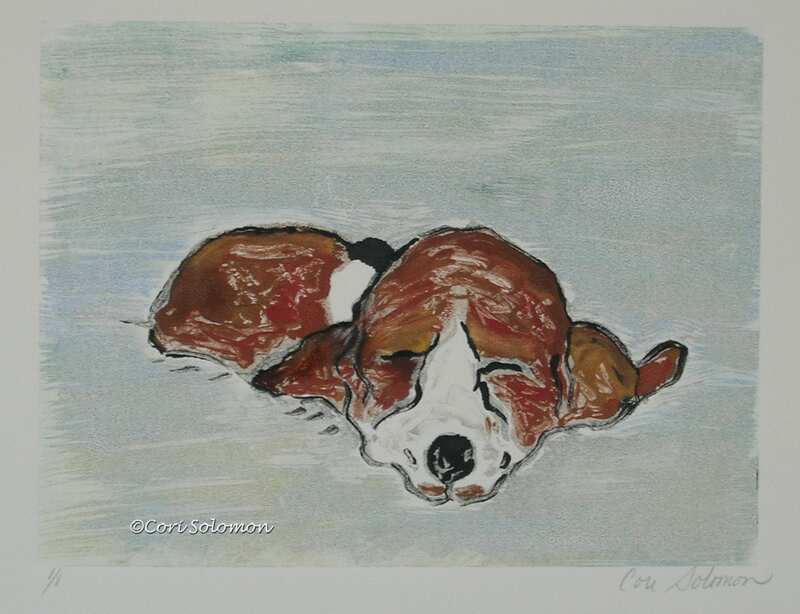 This Monotype is the 3rd in a series of drawings I did of a Basset Hound puppy sleeping. In this monotype I used the ghost print and recreated the puppy. I love the innocence of puppies especially when they are sleeping.